Like millions of others, during my high school days and at the university, computer geeks used the acronym, GIGO. “Garbage In, Garbage Out.” It simply means that if your input is bad, then the output is bad. Similarly, when using logic, if the premise is flawed, then the conclusion is flawed too. The GIGO principle holds in business or every other aspect of living. Someone like Professor Esther Sullivan – or those who cite her – may have grand intentions. But mistakes in her facts or a premise lead to false conclusions. Let’s note that your Masthead writer is not endorsing Sullivan’s tome, which I’ve not yet read. Rather, this is an analysis of points raised by Sullivan, in her TED Talk. Such talks normally distill the key points of a writer’s research. But to be fair, one should also consider varied viewpoints. “Through a beautifully executed ethnography, Esther Sullivan deftly details how for many living in manufactured mobile homes the façade of the American Dream often turns into displacement and disillusionment. Not only is this work a meaningful contribution to housing studies, it also advances our understandings of social inequality reproduction. For those interested in America’s private-market affordable housing challenges and how they perpetuate vulnerability mainly, but not exclusively, among disadvantaged whites, this is a must-read.” — Derek S. Hyra, author of Race, Class, and Politics in the Cappuccino City. “Esther Sullivan has produced a comprehensive and nuanced analysis of manufactured housing in the United States. This is an outstanding and unique ethnographic study of park closings that deserves wide readership among policymakers, advocates, and scholars.”—Edward Goetz, Humphrey School of Public Affairs, University of Minnesota, author of The One-Way Street of Integration: Fair Housing and the Pursuit of Racial Justice in American Cities. From those quotes of praise, and what they’ve published, you begin get the idea. Here’s her publisher’s own plug for her book. Sullivan says in the video posted below that she lived in communities marked for closure. 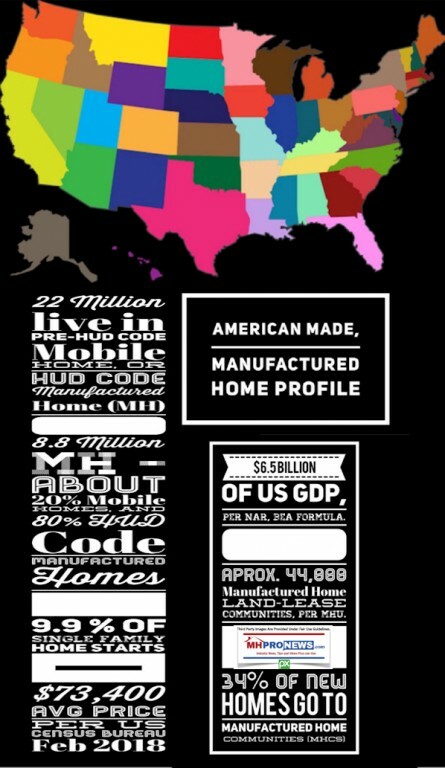 Hmmm, okay, but how does that give an authentic look at manufactured homes or communities? Closures are obviously troubling and disruptive for many. But thankfully, it is still the minority of communities where that occurs. GIGO. Her input is flawed, thus her premise is tainted too. 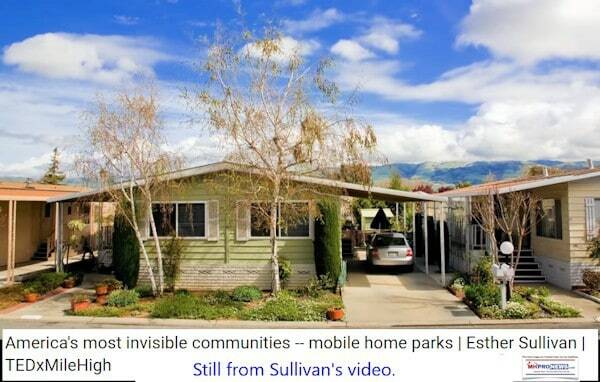 We don’t have to agree with all the policy points that the GSMOL (Golden State Manufactured Home Owner League) stand for to understand why some of their leaders might think Professor Sullivan has talking points useful to their cause. But then ask yourself this pressing question. Why would Clayton Homes commission the Boston Globe article by Jon Guber that cites Sullivan and her work? Shouldn’t community owners, and manufactured home owner groups alike sit up and question Clayton Homes motivations in spotlighting Professor Sullivan? Is it possible that the wool is being pulled, to block vision? Let’s begin with Sullivan. Manufactured home industry colleagues have said they tried to engage her, without success. Be that as it may, Sullivan needs to have an authentic dialogue with someone who will respectfully yet authentically test and challenge her premise and conclusions. A careful look at the infographic below reveals just some of the factual errors found in her TED Talk. Further, Sullivan mixes and misuses terminology. How can a serious university professor misuse terminology with a professional straight face? 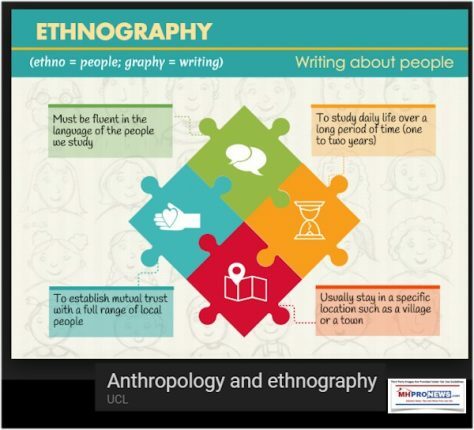 Typically, an author of a book distills in a talk some key points from their research. Her video is posted below. Then, please read the Daily Business News report at the link below. Then read the original on Boston. Are we ignoring — or outright banning — an easy affordable-housing fix? Sullivan’s work is a mishmash of the accurate and inaccurate information. Because of the GIGO principle, the same is true of what Jon Guber published in the Boston Globe too. Again, why would Clayton Homes commission that Guber advertorial? Once an objective scientist or serious researcher discovers a fact, spotting that point again later becomes easier. Clayton Homes and Berkshire Hathaway have attracted and/or generated numerous types of controversies. The articles linked above and below are just two examples. Thousands of manufactured home professionals ignored or overlooked such stories for years. Why? Haven’t they just continued to pop back up? Does ignoring the periodic problems for the image of our industry help or harm manufactured home professionals and home owners? Until recently, who was tracking the ties that Buffett’s money has with activist group, MHAction, via the Tides Foundation? It can’t be said too often. Berkshire Hathaway has numerous media assets. Warren Buffett can get on TV almost anytime he wants. 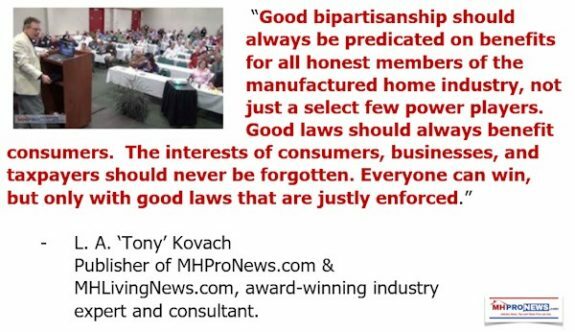 If they wanted to honestly and honorably grow the manufactured home industry and its reputation, why not run one legitimate article a month from each of their 31 BH Media Group outlets? If the BH Media Group did that, there would be a parade in Google News that could rapidly change the way our industry is perceived. Instead, they purportedly commissioned this article in the Boston Globe’s real estate section, that cites Sullivan? Excuse me? Manufactured home industry pros and investors, do you see any good reason for Clayton to support Sullivan’s work, if they want growth? 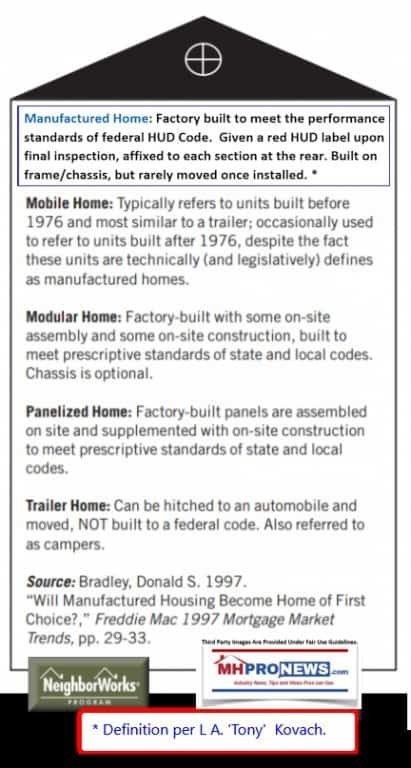 For manufactured home owners, the terminology and several of her statements make manufactured homes look at best like a questionable investment. How does that help your cause? Finally, Claytons money connection in the background of the Taylor Swift campaign controversy reveals more evidence of mistyfing behavior – if they wanted a surge of growth at this time – that the industry’s pros should consider. Some MHI member tell me they have no choice, they are ‘compelled’ to be members. If so, that speaks volumes. Once the midterms are over, and God-willing a red-tide is the result on the night of November 6, there will next steps needed. Clayton Homes, and their related lending. Amazon, Alphabet (Google, YouTube), Facebook, and Microsoft. Concerns over FHFA, and the GSEs handling of the Duty to Serve manufactured housing must also be part of the mix. Isn’t it increasingly clear that there’s as many internal as external reasons that the industry is at such historic lows?